Homes for rent in Scottsdale have never been in more demand! The slowdown in the economy and Arizona real estate from 2009 to 2012 has left Scottsdale with a need for rental housing. The building boom in in full swing. A drive along Thomas Road, McDowell Road and Camelback will show just how much multifamily housing is being build to fill the demand for rental housing. At Krk Realty & Management we specialize in single-family rentalhomes which is now becoming more of a niche market. The big money developers do not build single-family homes with the purpose of rental. If you are a tenant in need of a home with a yard for pets and kids you will want a single-family home. Scottsdale is a large city over 35 miles long and most of the new single-family housing being built is in the northern end of the city. If you have a home south of Chaparral Road we have tenants for you!!! 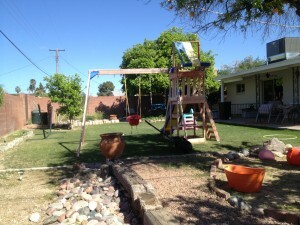 Our latest home near Miller and McDowell, a three bedroom with a pool was listed at $1,450 and was rented in 5 days. We had to turn applicants away!!! Please reach out to us ASAP if you have an empty home or a home being managed poorly by a different property mangement company. We are looking for property owners with homes in South Scottsdale. Thank you!